What I wore at The Fashion Room Service. Clothes courtesy of Wrangler, pictures shot by Thalia, red lipstick Ruby Woo by MAC, red eyes thanks to damn allergy. Butch aesthetics are a nice break from all the girlie girlishness, non? 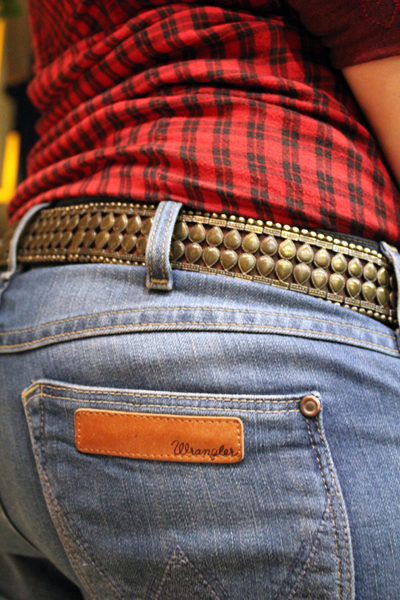 Check shirt and Jera boyfriend jeans, WRANGLER. 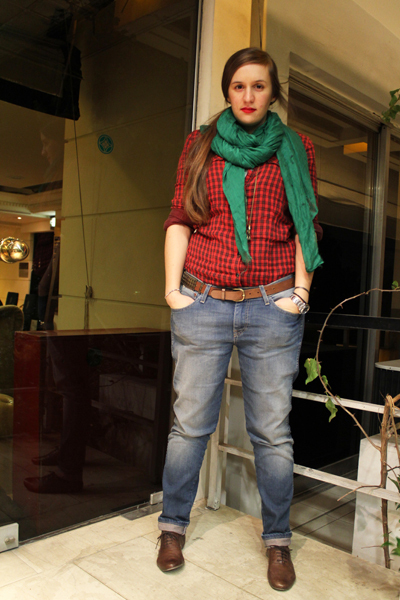 Green scarf, ZARA. Metallic belt and brown leather brogues, MASSIMO DUTTI. 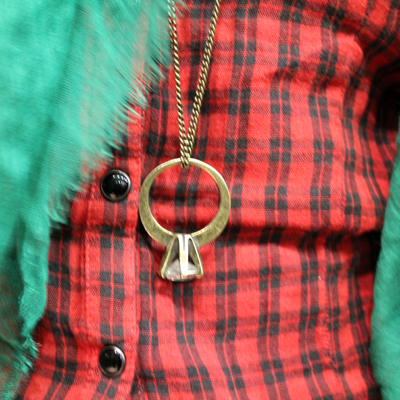 Oversized ring necklace, PULL&BEAR.